Historic England is calling on the public to help tell the story of Liverpool’s Black and Asian heritage over the last 100 years. As part of a nationwide campaign called Another England, the people of Liverpool are being asked to share the places and buildings that are important to them by ‘pinning’ them on an interactive map of the city with accompanying photographs on a dedicated website – www.anotherengland.co.uk. The aim is to help build a fuller picture of England’s Black and Asian history. 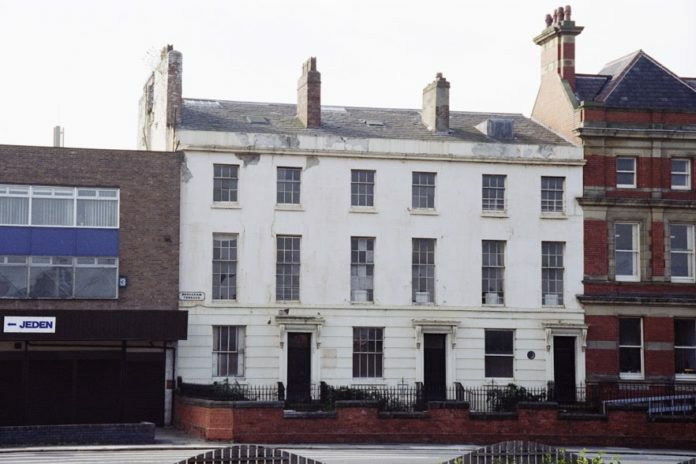 This Saturday (11 November) from 12pm – 5pm Historic England will host a drop in event in conjunction with Liverpool’s Open Eye Gallery where people are invited to come along to find out more and take part by uploading their pictures to the interactive map. The free daylong event, full of poetry, history and storytelling workshops, invites members of the public to share their stories and help map the places and buildings they feel are important to the region’s Black and Asian history. They might include the city’s docks and drinking dens, its streets and squares, cafés and churches, houses and hostels. The events that took place that we want to remember might have been every day activities, like sitting down for dinner, going shopping or attending a concert – or more significant events such as moments of protest and major progress. Local poet Addae Gaskin will be delivering spoken word and hosting a discussion. Madeline Heneghan (Writing on the Wall) and Emy Onuora (Pitch Black) will be speaking about their new book, Great War to Race Riots, the story of the plight of Black seafarers, soldiers and workers in Liverpool from 1919-20. Between The Borders will also be hosting a zine making workshop on stories around migration and how we understand movement today. People can upload their pictures to the Another England website up until October 2018 and so there’s plenty of time to take part and to tell relatives, friends and neighbours about the project. Liverpool’s Black and Asian history and multicultural community dates back much longer than a hundred years. For example, the port was a gateway for the slave trade – raw, slave-grown cotton from America was distributed to Britain’s mills and manufactured textile products were exported. As a result, the 1800s saw an influx of seafarers from countries including Africa, China and India. But in 2018 it will be 100 years since the end of World War I. Thousands of Black and Asian soldiers from across the British Empire fought in the war, were stationed here, and moved here. The Another England project takes 1918 as its starting point with the aim of capturing the living history of Black and Asian people in England over a century of enormous global change. In the century that followed waves of migration took place – and as a result England’s culture, industry, economy and national life has been greatly influenced by Black and Asian people. “Through Another England we want to raise awareness of the nation’s important Black and Asian heritage. There’s a gap in the nation’s knowledge of this part of the past and we want to help fill it. We’re calling on individuals, families, communities and organisations to take part, to help us.